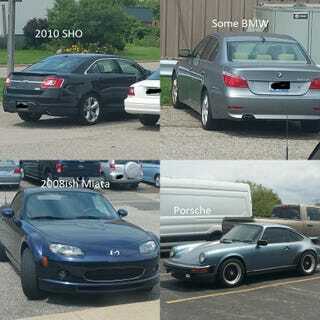 So, there were some interesting cars around the vicinity of my work today, so let’s see what you all would do with these 4! Also, no idea on vintages of the BMW or the Porsche, or even really the specific model, so if anyone could provide that info, that’s be fantastic! Since there’s four, I figured I’d gauge which one you are okay burning and which one you’d be okay having someone else enjoy!